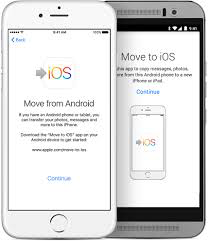 How to Fix "Move to iOS Could Not Communicate with Device"
5 Tips to Fix: "Move to iOS Could Not Communicate with Device"
Move to iOS could not communicate with device when trying to use Move to iOS app to move data from Android phone to iOS devices? Read on this guide to fix this issue in a simple and quick process. Have a try on this professional & virus-free Android to iOS data transfer tool to move various types of files like photos, contacts, messages, etc. from your Android phone to iPhone/iPad/iPod touch in minutes. Move to iOS is a free app released by Apple in 2015. It is also the first app Apple designed for Android mobile platform. This app makes it easier than ever to transfer valuable files like photos, contacts, messages, videos, free apps, mail accounts, web bookmark, etc. from old android phone to new iPhone/iPad. 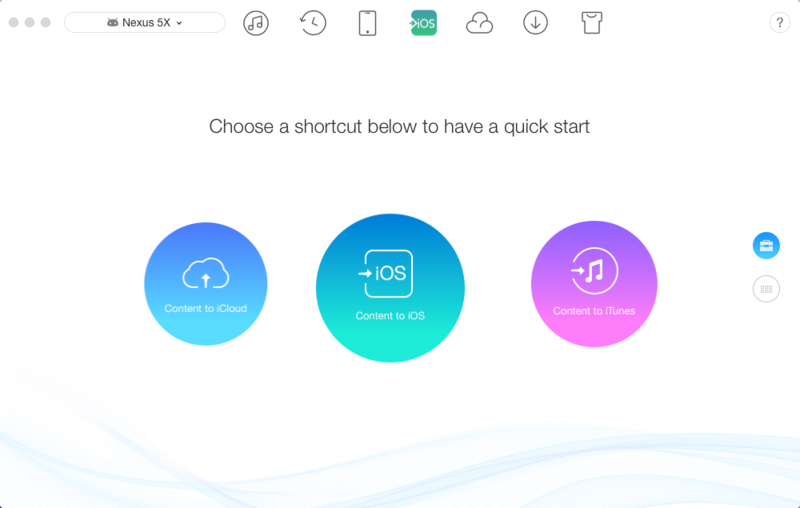 However, many users reported that Move to iOS could not communicate with their device, not working on Android phone, not connecting to iPhone/iPad. What’s the deal? Don’t worry about that too much. Here in the following, we will lead you to fix the "Move to iOS could not communicate with device" issue with ease. 1. Make sure your iPhone/iPad is running iOS 9 or later. 3. Make sure both Android and iPhone have enough power. 4. Make sure you have turn off all background apps (avoid notifications). 1. Restart both iOS and Android devices. 2. Set your Android into Airplane Mode. 4. Disable and forget the Wi-Fi networks and cellular data on both your Android phone and iDevices. Also, unselect the "Smart network switch" or "Connections Optimizer" on your Android phone. 5. If above 4 tips fail to help you out on "Move to iOS could not communicate with device" issue, then seek help from this 100% safe & free Android to iOS data transfer tool – AnyTrans. AnyTrans is specially developed for users to transfer data between Android and iOS. It works perfectly with iDevices, Samsung, HTC, LG, Sony, Google, HUAWEI, Motorola, ZTE, etc. Moreover, it supports you to transfer all types of files including contacts, photos, music, text messages, apps, call logs and more important data from Android phone to iOS devices. Now, let’s go through the simple steps below to complete the transfer job with it. Step 1. Download and launch it on your computer. Step 2. Connect your Android Phone and new iPhone/iPad to the computer > Choose Content to iOS mode. Step 3. 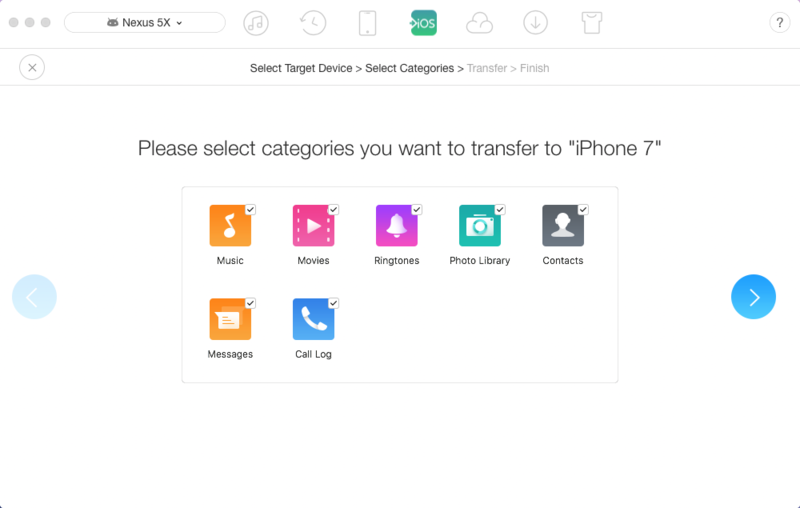 Check the data you would like to transfer to iPhone/iPad > Click right arrow to begin the transferring process. Hope above possible solutions cloud successfully helping you fix the "Move to iOS Could Not Communicate with Device" error. And as you can see from above, you still have another excellent choice to transfer your data from Android to iPhone/iPad with no hassle. Just have a try now, it won’t let you down.